The 2018 Mid-Missouri Composers Symposium was a wonderful experience! 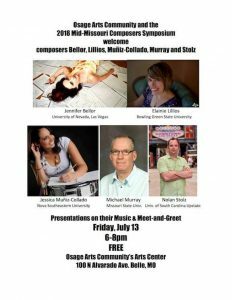 From July 12-22, Four composers and I were in residence at the Osage Arts Community in Belle, Missouri. 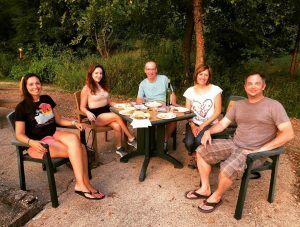 Each day, we all spent the day composing and then met up early evening to share our music and ideas. I finished my new composition Cerulealina for violin, cello, 3 percussion, harp and double bass, and was so happy to have the time to do that. Many thanks to composer Nolan Stolz for the invitation to be at this artist residency!